Melissa Curtis is a former alpine skier who became obese, and launched a personal quest to recover her health and a normal weight. 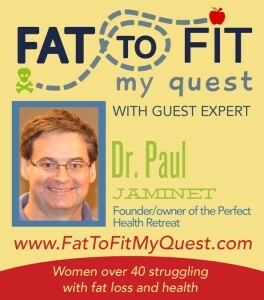 She now hosts the Fat to Fit My Quest podcast and I was pleased to appear as guest #76. If you’d like to download, you can find the podcast on iTunes here. I get grass-fed bones in the frozen pet food case at the health oriented supermarket where I shop! Great podcast, doc. I love both you and Melissa. She has done a great interview with you.